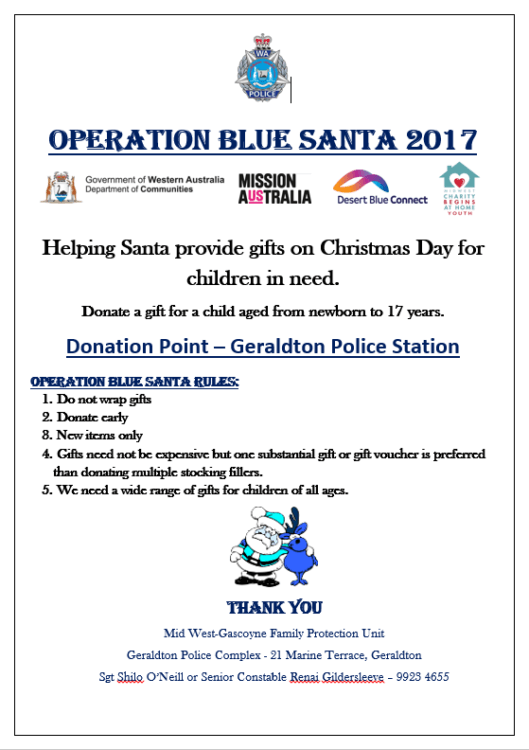 Operation Blue Santa is an initiative which provides gifts for children who might otherwise miss out on presents at Christmas. Desert Blue Connect and partner organisations are seeking members of the community to donate gifts for children aged from newborn to 17 years. 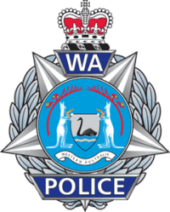 The collection point is the Geraldton Police station. We ask those who wish to donate presents to bring them into the station unwrapped, ensure that they are new items only and bear in mind that gifts need not be expensive but that one substantial gift or voucher is preferred over multiple stocking fillers.